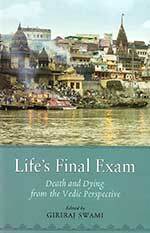 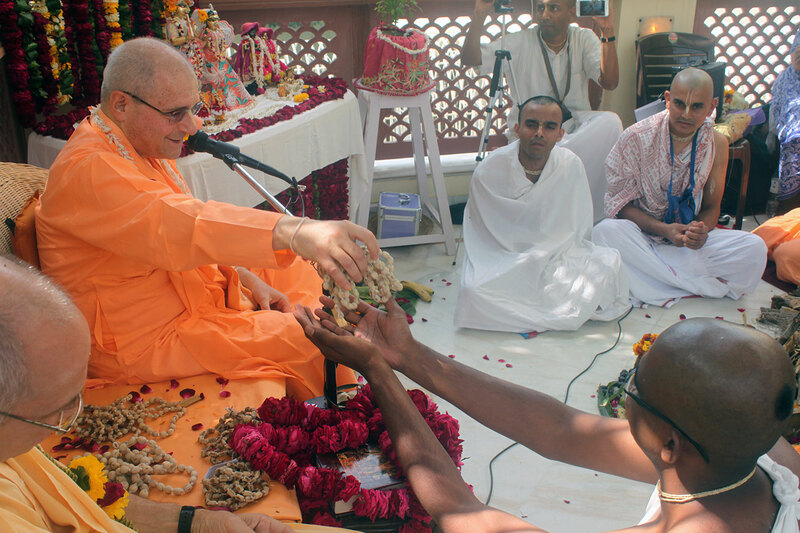 We conclude this series of posts with the Vyasa-puja address given by Giriraj Swami during this sweet ceremony. 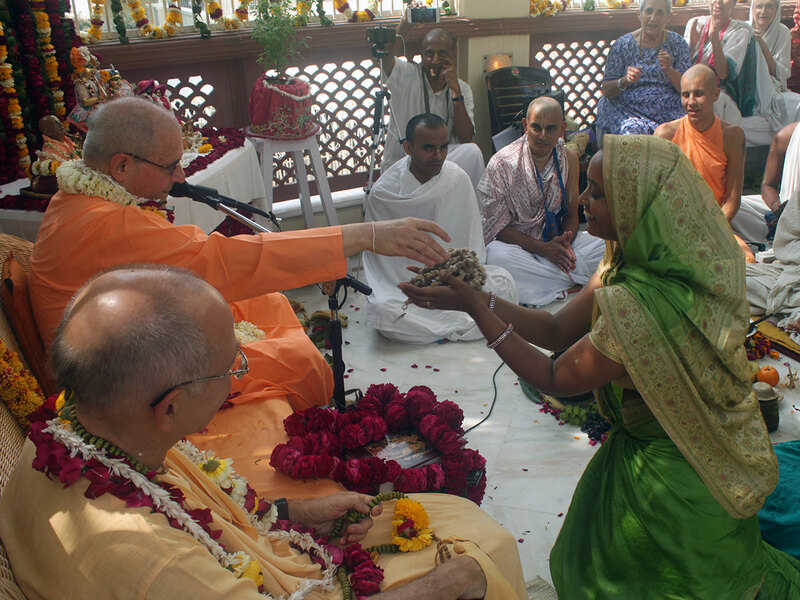 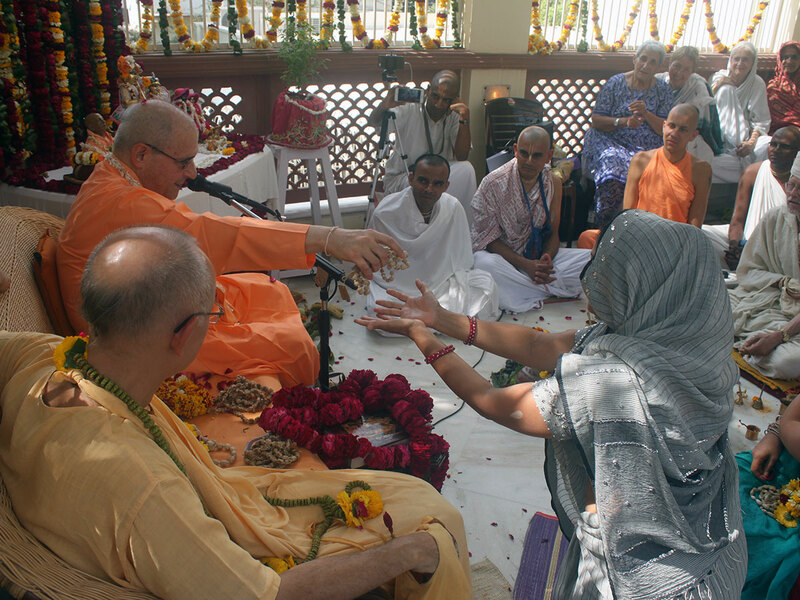 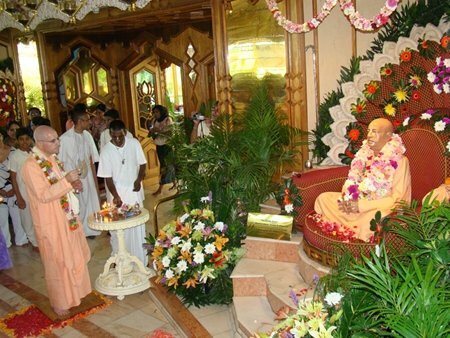 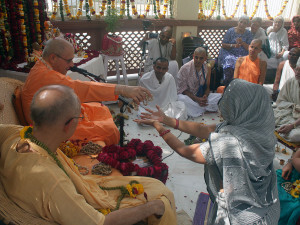 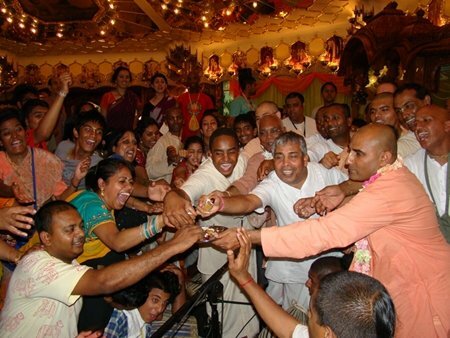 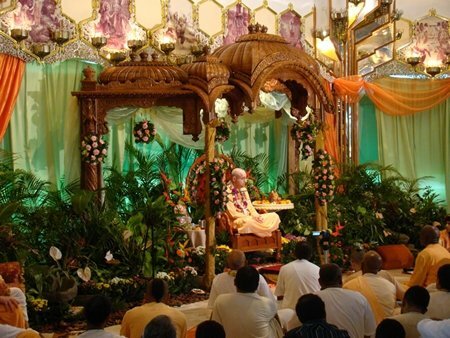 On December 26, the devotees in South Africa held a wonderful Vyasa-puja ceremony for Giriraj Swami. 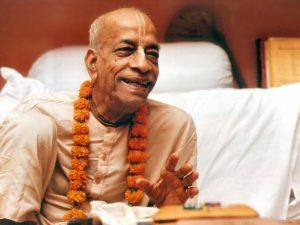 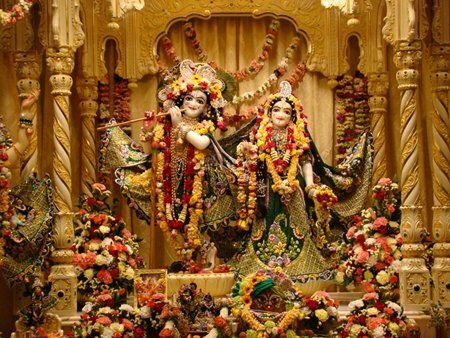 This post has Bhakti Caitanya Swami’s talk on the meaning of Vyasa-puja and Giriraj Swami reading his Vyasa-puja offering to Srila Prabhupada. 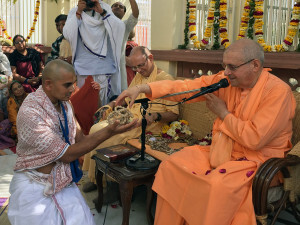 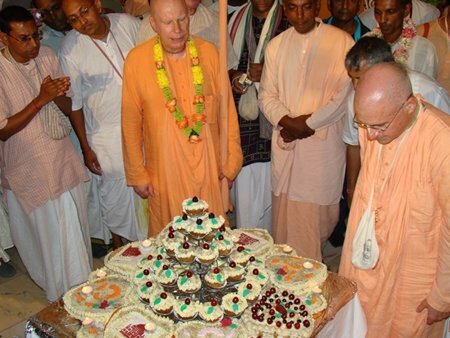 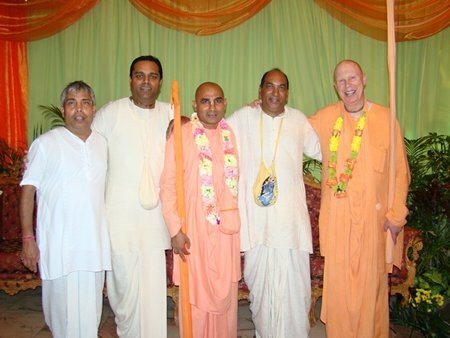 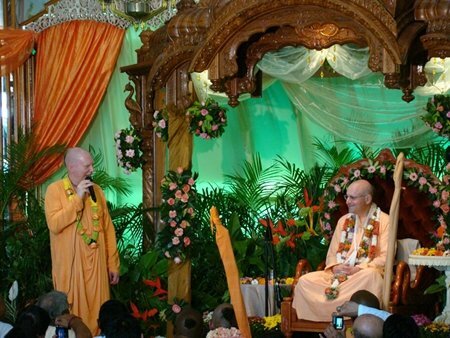 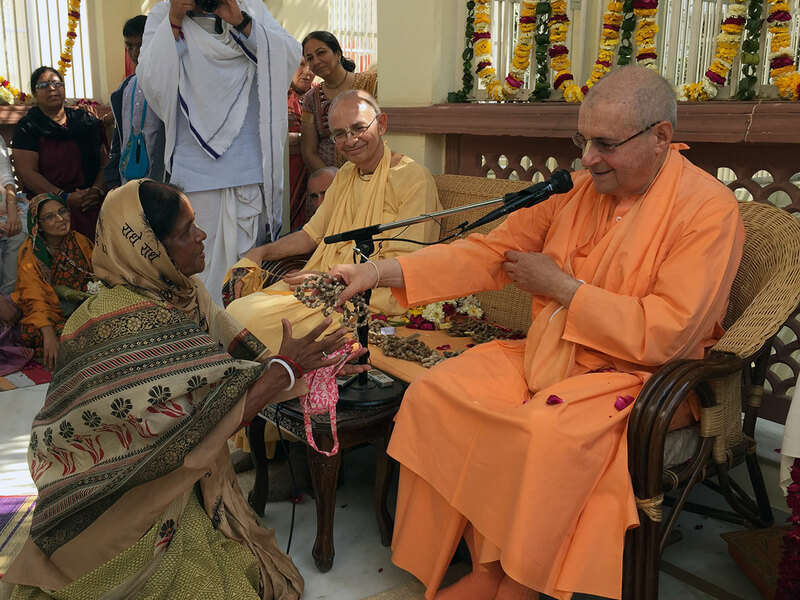 On December 24, at the Sri Sri Radha-Radhanatha temple in Durban, in the presence of several hundred devotees, His Holiness Giriraj Swami awarded sannyasa, the renounced order, to Brhat-mrdanga Prabhu, giving him the sannyasa name Bhakti Brhat Bhagavata Swami. 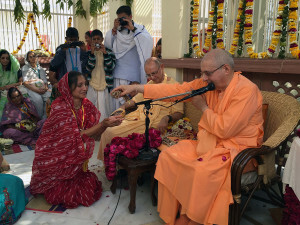 The program featured talks by His Holiness Bhakti Bhrnga Govinda Swami, His Holiness Bhakti Caitanya Swami, His Grace Ramanujacarya dasa, His Holiness Bhakti Brhat Bhagavata Swami, and His Holiness Giriraj Swami. 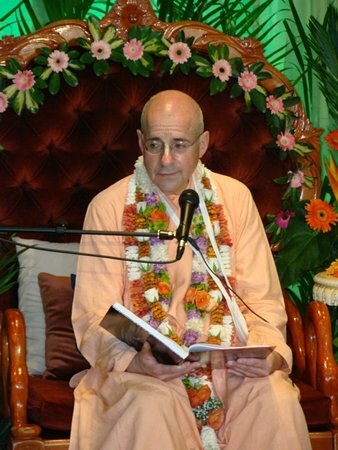 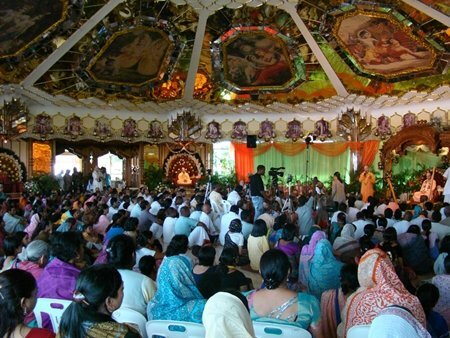 Here is Giriraj Swami’s arrival address, which was preceded by Bhakti Caitanya Swami’s introduction and talks by Karnamrita dasa, Arcana-siddhi dasi, and Cakri dasa, on Thurdsay, December 17, at Sri Sri Radha-Radhanatha temple in Durban, South Africa.